IRVING - SWINDON, THIS IS SWINDON. 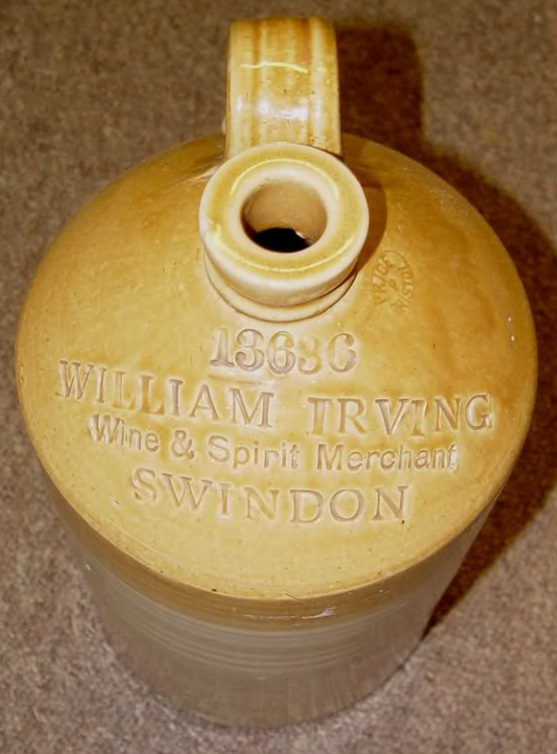 William Irving was born in 1839 in Wantage, Berkshire. 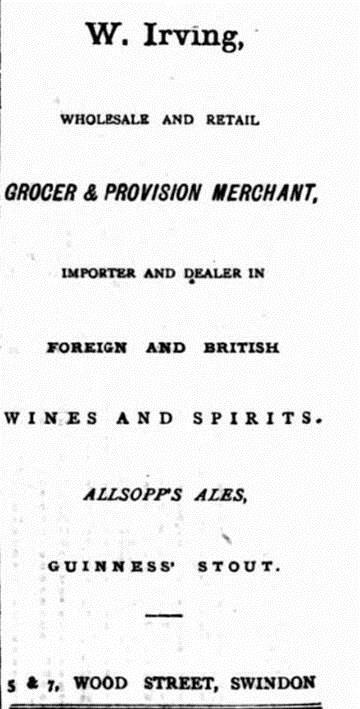 By 1881 he was a successful grocer in Marlborough, Wiltshire. 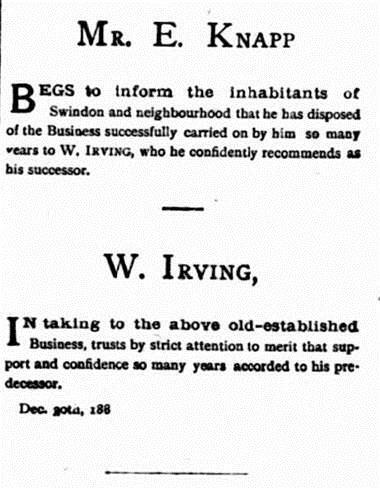 He took over the Swindon business of KNAPP in 1882.